Talk about a whirlwind of a summer! October has just begun, and with it comes apples and pumpkins and FALL. I’ll just be thankful when the temperature outside drops below 90 degrees. It hasn’t just been the blistering heat taking its toll on us. This year, we had to deal with one hell of an astrological season as well. If you guessed the blood moon eclipse that happened while mercury was in retrograde, then you would be correct! Not to mention the various retrogrades and other full moons. September’s is in Aries, and I have to say, I can’t wait for change! Well, if you thought the best way to celebrate these momentous occasions was with a cocktail, then you’re in luck! Let us toast the beginning of Autumn and the coming celestial season (I’m talking about those sassy Libra’s!) with an ominous, slightly spooky and spicy cocktail. Our nod of a farewell to one of the hottest summers on record and and big howdy to the cooler months ahead. Think of this drink as the way to transition. NYCC’s very own Cocktail Guru, Jessica is a legitimate wizard and creates all of our fantastic cocktails seen on NYCC. 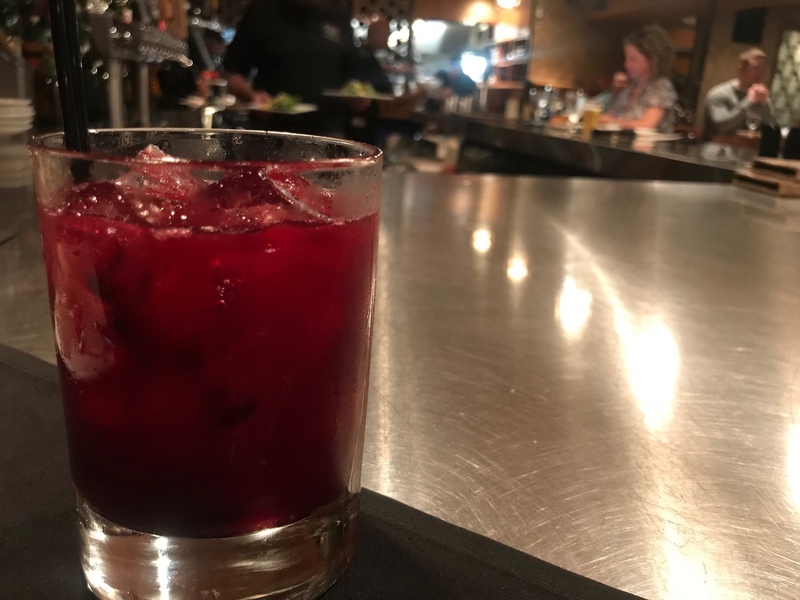 If you haven’t had the opportunity to see what this genius can do, be sure to check out her take on a Rosemary Collins that we lovingly dubbed Rose Colored glasses, or find her making other fabulous drinks over at Good Food on Montford. Now, where are my fall leaves and 70 below temps? Muddle jalapenos with blackberry puree in a rocks glass before filling the glass with ice. Pour whiskey and sour mix on top. Shake vigorously. Top with ginger ale. Enjoy! *Side note: You can buy sour mix pre-made at your local grocery store in the mixer isle. *You can also opt to muddle 7-8 blackberries with your jalapenos to save time! Just pour 1/2oz of Chambord, and a little extra simple syrup (equal parts sugar and hot water, stir until sugar is dissolved). What kind of cocktails are you excited about for Halloween? Want to see more food and drink on Not Your Counter Culture? Let us know in the comments! Check out our other cocktails here!